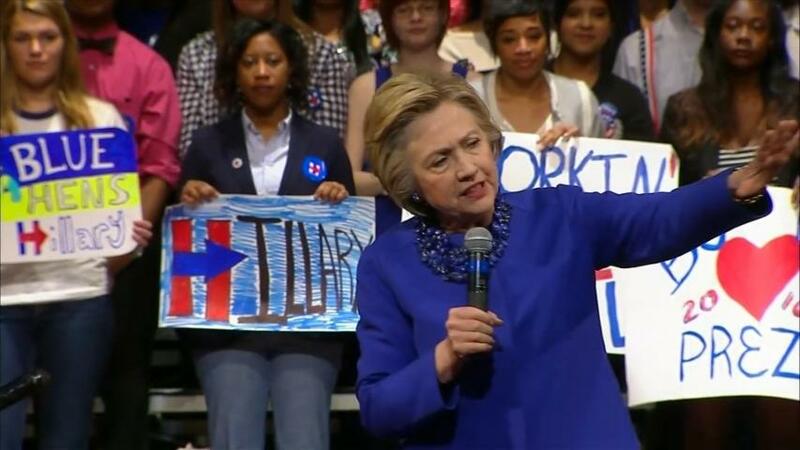 The survey, from the Harvard Institute of Politics, shows Clinton crushing Republican frontrunner Donald Trump 61% to 25% among voters between the ages of 18 and 29, with 14% saying they were unsure whom they'd support. 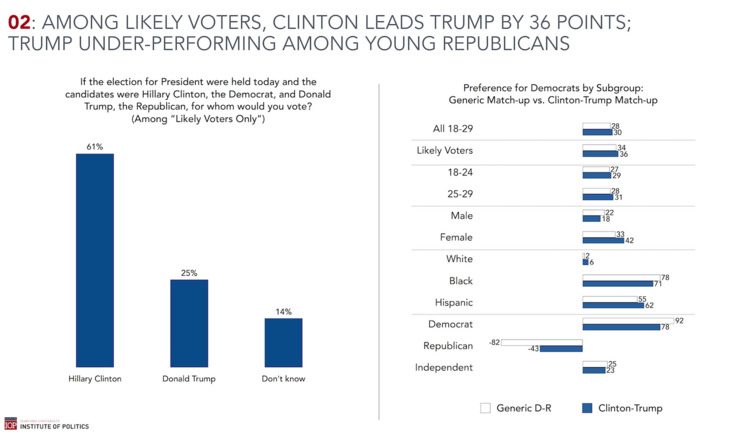 Clinton's lead is padded in part by the reluctance of many young Republicans to back their party's likely standard-bearer. While the former secretary of state takes 83% of young Democrats to the real estate magnate's 5%, Trump only wins 57% of young Republicans to Clinton's 13%. Meanwhile, Clinton bests Trump 43% to 20% among independents, with 36% unsure. Notably, the contest is considerably closer among white millennials, with Clinton leading 38% to 32% among those voters. But she crushes Trump with minorities, taking 76% of young blacks to Trump's 5% and leading 71% to 9% among young Latinos. While Clinton looks poised to roughly match President Barack Obama's 60% support among millennials in 2012, she may struggle to drive high turnout among young voters, particularly those drawn to Sanders' progressive candidacy. 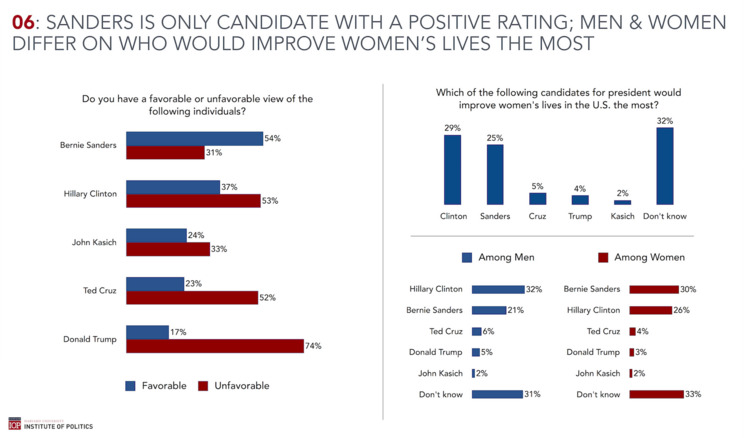 Sanders appears to benefit from millennials' more ambivalent attitudes about capitalism. Asked whether they preferred capitalism or socialism, 42% selected capitalism and 33% picked socialism — but support for socialism rose to 41% among the likeliest voters, while 52% picked capitalism.